The Food and Drug Administration has approved the powerful opioid narcotic painkiller OxyContin for children as young as 11. While we are compassionate for everyone in pain, especially children, we are also very concerned about how their pain is being addressed. Parents must become educated and cautious. Consider the following before introducing any pain reliever, especially a narcotic that has the potential to create long-term addiction and abuse. -Nearly two million Americans, aged 12 or older, either abused or were dependent on opioid painkillers in 2013. -“One in 25 high school seniors has abused OxyContin” said Scott Hadland, a specialist in adolescent medicine and substance abuse treatment at Boston Children’s Hospital and Harvard Medical School. -The number of prescription painkillers sold has quadrupled since 1999, according to the Centers for Disease Control and Prevention. -More than 44,000 Americans die of drug overdoses each year. Some people who become addicted to prescription painkillers switch to using heroin, which has become cheaper and easier to access than OxyContin. -Every day, 44 people die as a result of prescription opioid overdose. -There were 43,982 drug overdose deaths in the United States alone in 2013. Of these, 22,767 (51.8percent) were related to prescription drugs. -Drug misuse and abuse caused about 2.5 million emergency department (ED) visits in 2011. Of these, more than 1.4 million ED visits were related to prescription drugs. We don’t want you or a loved one to become a statistic. If you are considering medication for yourself or for them and are looking for a healthier long term solution, keep in mind the holistic options available that help the body heal itself and function the way it’s supposed to. 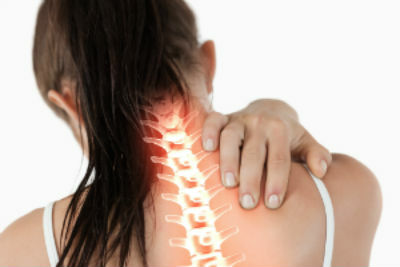 Chiropractic care can get to the cause and relieve pain resulting from spine and nervous system imbalance. Research published in the January 2005 issue of the scientific periodical the Journal of Manipulative and Physiological Therapeutics, (JMPT) showed that patients with chronic spinal pain syndromes did markedly better under chiropractic care than patients who received medication. Seeking chiropractic care as part of the journey to relief can result in improved conditions today and enhance your quality of life as you age. Visit our YouTube Channel to watch more great videos from Santin Chiropractic. And if you’re interested in learning more about the 100 Year Lifestyle, visit the 100 Year Lifestyle channel on YouTube.